Dayton, January 12 2019 - Two 2018 Dutch Lions FC players were drafted this week by MLS teams in the 2018 Major League Superdraft. 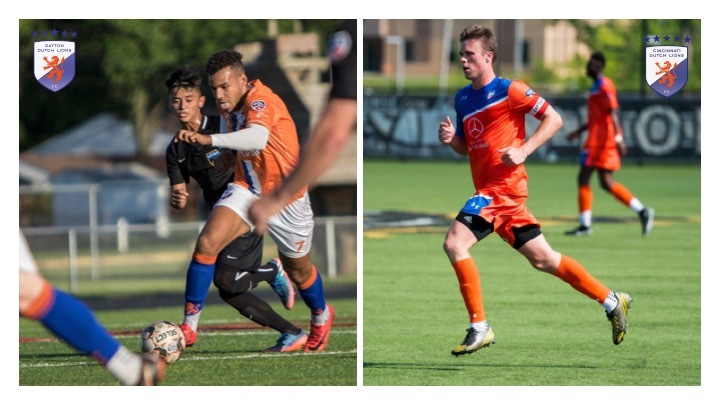 A huge congratulations to Dayton Dutch Lions FC player JJ Williams for joining the Columbus Crew and to Cincinnati Dutch Lions FC player Adam Wilson for joining Toronto FC. Also compliments to DDL FC coaches Dan Griest and Kevin Terrell and CDL FC coaches Paul Nicholson, Jack Hermans, Terry Nicholl and Brandon Ponchack for playing a role in their development. Williams played 12 games in the 2018 Championship season scoring 7 goals and adding 2 assists. Wilson appeared in 7 games and had 1 assist.